Behold - Some clarity to what's usually very messy racism debates! The MOQ brings it! I have white skin, others have a different color. They're just different colors. 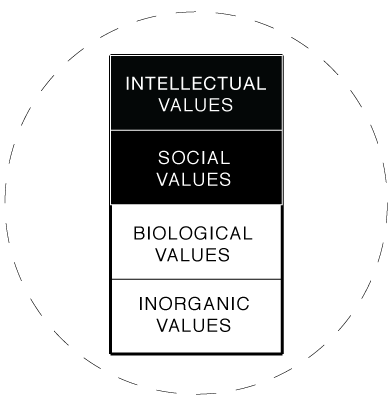 These are the biological values of the human race. We all have a body and it has a skin color, but these really have nothing to do with the cultures within which we are born. There are world cultures. Cultures are unique groupings of intellectual and social values and they change all the time. Some more quickly than others. Some associate a particular culture with a particular skin color and think because a skin color can't change, then the culture can't change either. This is called Racism and it's immoral and incorrect. Simply criticizing a culture from afar doesn't mean that you're being racist. The key thing is if you believe that culture can change for the better as a result of those criticisms. Another key factor is if criticism is indeed the best way for that other culture to change (probably not) but the original point about it not being racist still stands. With this in mind - for those outside of Australian Politics - Kerri Anne Kennerly (KAK) is Australian television royalty in line with Barbara Walters in the US. But her opinions on the latest 'Australia Day' protests by indigenous groups has one of her co-hosts - Yumi Styne - caling her racist. Kerri Anne starts by asking if any of the protesters have been out to the outback to see the sub-standard living conditions of indigenous folks there where numerous studies have shown a far higher rate of child abuse and substance abuse as well as a general lack of school attendance and education. This criticism, whilst it is indeed based in fact, has a glaring problem. That problem is the implied criticism that because they have issues within their own community they should not be throwing stones at another very related issue - the Australian National Day and how it's emblematic of indigenous mistreatment in Australia. And here Kerri Anne's implied criticism is incorrect. Just because indigenous Australians have problems within their own communities, the way to solve those problems might indeed include a better reconciliation with non-indigenous Australians, and so they should indeed be able to protest the date of the national day. So it's not clear if it is indeed racism(probably not) that's driving Kerri Anne's insistence that protesters stop protesting and go to the outback instead. But it is misguided to insist this and it doesn't seem to be in line with any sort of reconciliation that would reduce the alienation issues amongst not only indigenous Australians but indigenous groups across the world. See - the MOQ brings a bit of clarity to racism debates and makes them far more constructive. Can we all start using it when we want to discuss any issues amongst cultures please?